What’s the best way to learn more about Bement? Can my child spend a day at Bement? Does Bement offer transportation to school? Does Bement offer before or after-care programs? What is the typical number of students enrolled at Bement and how many students are in each grade? Is an application required before a campus visit? How can I visit Bement with my family? I live far away. May I interview via Skype? When should I take the SSAT? Can I take the December SSAT if I am planning to complete my application by December 15? Should I take the Character Skills Snapshot? If English is my second language, should I submit a TOEFL? How do I apply for kindergarten for my child? When is the financial aid application deadline and how is financial aid awarded? Does Bement offer merit scholarships? When are candidates notified about Bement’s admission decisions? What happens once my child is accepted? Can a candidate apply to Bement after the application deadline? Does Bement ever admit applicants from the wait pool? I already applied to Bement once. Can I apply again? What schools do students attend after Bement? What is Bement's anti-discrimination policy? Are students required to bring devices to school? Where can I get more information about the curriculum and classes offered at Bement? Can Bement accommodate dietary restrictions? Where do I get information about studying in the United States if my child is an international student? In addition to our web site, we encourage you to request a view book. Once you complete an inquiry, we will mail you a view book. The very best way to learn about Bement is to visit with us in person! Please call to schedule a visit for a campus tour and interview. Classroom Visit Days are Bement's version of an Open House. Our Classroom Visit Days give prospective students and families the opportunity to see Bement at its best. Prospective families tour campus, talk with teachers and administrators, and observe students and faculty in action on a typical school day. Most Classroom Visit Days begin in the admission office at 8:30 a.m. and conclude at 10:30 or 11 a.m.
Walk-ins are always welcome, but if you would like to RSVP please contact the admission office at 413-774-4209 or admit@bement.org. Can't attend our Classroom Visit Day? Contact the admission office to schedule a personal visit to Bement. We invite day students to spend part of or the entire day at Bement as part of their interview or screening date. Typically boarding students do not visit classes, but may request to do so if the schedule allows. In order to maintain an effective and consistent classroom atmosphere, we invite prospective parents to visit classes on one of our Classroom Visit Days. Daily van transportation services are offered each year from the towns of Amherst, Northampton, and Brattleboro, Vermont, and pickup points and routes are determined based upon demand. Morning routes are available and assigned on a first-come, first-served basis to all interested Bement families. Students ride in our seven-passenger school vans, or contracted school buses, and are scheduled to arrive at the school by 8:05 a.m. The return service leaves Bement by 4:45 p.m. Monday through Thursday and by 3:45 p.m. on Fridays. Lower school students who sign up for the service will attend the after-school program at no charge. On early-dismissal days, vans depart at upper school early-dismissal time. Day students may arrive at 7:45 a.m. for daily breakfast supervised by dormitory parents until the regular arrival time at 8:00 a.m.. After-school care is offered from 3:30 to 5:30 p.m., Monday through Friday. For lower schoolers, after-school care until 4:30 p.m. is designed to provide a safe, productive, and fun experience during the hour between lower school dismissal and that of upper school. Lower school students have the opportunity to play and interact with students of a variety of lower school ages, supervised on the playground, or to complete homework in the library under the guidance of a proctor. A proctored study hour is available from upper school dismissal to 5:30 p.m. This service provides lower and upper school students a wonderful opportunity to work on homework in a quiet, proctored study hall environment. 210 to 225 students are enrolled at Bement. Typically, half are enrolled in the lower school and half in the upper school. Average class sizes are 10 to 12. In the lower school the average grade size is 12 to 20 and in the upper school the average grade size is 25 to 35. We are happy to give a tour to anyone who inquires about admission to Bement. Applicants interested in proceeding further with the process and booking an interview (for applicants to grades 4-9) or an applicant screening (for kindergarten through grade 3), we ask that applicants submit the application before the visit. Please note that while we ask for the application to be submitted before a visit, applicants do not have to submit those forms in order to schedule an appointment. We schedule visitors to campus Monday through Friday 8:00 a.m. to 2:00 p.m. when school is in session. Contact the admission office to schedule a tour! Yes. An interview is required with one of the admission officers for students applying to grades 4 through 9. For students applying to kindergarten through grade 3, a screening with the lower school head and classroom teacher will take place during their class visit day or screening. The interview is more like a conversation. We want an opportunity to get to know each student better, and allow the student to ask any questions. We ask students about school, what they enjoy doing in and out of school, their interest in arts and sports, as well as other extra curricular activities. We ask students to talk about their friends and family as well. There is nothing to do to prepare for the interview other than to be oneself and for students to be ready to talk about themselves. There are no right or wrong answers! The interview is also a good opportunity for the prospective student and their family to learn more about Bement. Often, seeing the school firsthand is the best way to determine if Bement is a “good fit." In addition, a visit to campus frequently raises questions that an on-campus interviewer is best able to answer. For these reasons, we strongly encourage families to visit campus for their interviews. We do offer Skype interviews for applicants to grades 6 through 9 only; applicants may arrange one through the admission office at admit@bement.org. Alternatively, applicants may opt for an in-person interview near their home if we have an admission officer traveling to the area. However, we strongly recommend an in-person interview here on campus as it will allow students and families to get to know us Bement, and we will have a better sense of you as well. 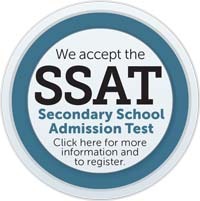 Before the application deadline, all applicants are required to take either the SSAT or a WISC. The WISC (Wechsler Intelligence Scale for Children) is required for application for admission to grades 3 through 5, and can be submitted in place of the SSAT for admission to grades 6 through 9. The Bement School will be a testing site for the SSAT on Saturday, October 13, 2018.
International students wishing to apply to Bement for consideration in the first round of decisions should complete their application by December 15. A complete application includes the application, the application fee, a writing sample, current English and math teacher recommendations, SSAT official score report and writing prompt, transcripts for three years, and interview. If a student is scheduled to take the December SSAT, families MUST enter Bement's school code 1570 as a score recipient in order to receive the test scores right away and in time for consideration in the first round of decisions. If a family waits to see the scores first and then adds our code, the results will come to us much later and we will not have time for the committee to read the file to be considered in the first round. The Character Skills Snapshot is a new tool designed by the Enrollment Management Association to assist admission professionals in the admission process. The Snapshot is designed to measure eight essential character skills: resilience, open-mindedness, responsibility, teamwork, social awareness, self-control, intellectual curiosity, and initiative. We do not require students to take the assessment. If you have participated and wish to share the results with us, we will add this to your application. Students may submit TOEFL results as a supplemental part of their application. However, TOEFL test results are not required and do not fulfill our testing requirement for application for admission. International applicants who would like to be considered in the first round of decisions should complete their applications by December 15. Domestic day and boarding applicants who would like to be considered in the first round of decisions should complete their applications by February 1. Bement will consider late applications for all grades on a rolling basis dependent on available space. Families interested in kindergarten should schedule time for either a campus tour or to attend one of our classroom visit days. If you wish to apply, families should call to schedule their child for one of the two-day screenings as part of the application. We request that prior to the screening, candidates submit the application, teacher evaluation, and school report. Tuesday, February 26 from 3:45-4:30 p.m. and Wednesday, February 27 from 8:30-10:00 a.m.
Wednesday, April 17 from 3:45-4:30 p.m. and Thursday, April 18 from 8:30-10:00 a.m. Families apply for financial aid online through the School for Student Service (SSS) through the National Association of Independent Schools (NAIS). Directions for completing the form are available on the SSS website. Please be sure to indicate that The Bement School should receive your information by entering Bement’s School Code: 1570. No. Bement offers financial aid to U.S. citizens based on the demonstrated financial need of the family. Our school does not offer merit awards based on academic, athletic, or other talents demonstrated by the student. For the 2018-2019 school year Bement awarded $1,071,000 to 38% of the student body. For day students these awards ranged from $1,000 to $17,850. Boarding students received somewhat higher awards. Historically, our financial aid budget has allowed us to award between 50% to 70% of demonstrated need. International students applying for a boarding place at Bement are notified January 15 if they completed the application process by the first round application deadline of December 15. Domestic boarding students are notified within one week of the completion of their application. Day students are notified on or by March 10. Once the Admission Committee selects the new students for the coming year, families are notified of the decisions. Accepted students are welcome to return to Bement for a revisit day on March 26 which includes class time, lunch, and attending after school activities. Upon a candidate’s acceptance to Bement, parents are required to sign an enrollment agreement and make a deposit to hold the applicant’s place in their class. Part of the enrollment deposit will be applied to the coming year’s tuition. Note that after signing the enrollment agreement and making the necessary deposit, subsequent cancellation of enrollment will result in forfeiture of the enrollment deposit or tuition, depending upon the date of cancellation. Yes. After the deadline, students can still apply to Bement. The admission committee will consider late applications on a rolling basis dependent on the available space. Some grades or dorms may be full, in which case late applicants will be considered for the wait pool. Yes, in a handful of cases, this can happen. During the spring and summer, places sometimes become available and we are able to admit qualified students from the wait pool. Because many considerations go into each admission decision, including the number of spaces available and the strength of the applicant pool for a particular grade level, we welcome students to re-apply to Bement. Applicants do not need to fill out the application again. However, we do ask for updated school reports, including transcripts and current teacher recommendations. Applicants to grades four and higher may submit a one-page written statement from the student updating us on the past year since they applied, both academically and personally. We may also require another campus visit for an updated screening or interview (depending on grade level.) If there are questions about what else may be submitted to support the re-application, please contact the admission office. Our well-prepared and confident graduates are coveted by distinguished secondary schools. The list of where our students are accepted and eventually choose to enroll reflects the diversity and strength of our student body. Our director of secondary school placement works hard with each ninth grader and their family to discover the best fit for the next step in the student's journey. The Bement School admits students of any race, color, sexual orientation, ancestry, religious affiliation, national and ethnic origin to all rights, privileges, programs, and activities made available to accepted students. The school does not discriminate in the administration of any institutional programs. Students are not required to bring laptops or other devices to school. Some students work more efficiently by taking notes in class and if that is the case, students are more than welcome to bring them for academic purposes. The curriculum guide gives an overview of the academic program at Bement. It also lists all subject areas by grade and includes descriptions of what is covered. Out of respect to students and faculty with life-threatening allergies, nuts are not served at Bement. Our allergy list will be updated each year with information provided from families to our Health Office. Special diets must be approved by the school nurse.